July 2014 | Challenger, Gray & Christmas, Inc. The pace of turnover among the nation’s chief executive officers rose in June, as 103 CEOs announced their departures during the month, according to a report issued Wednesday by global outplacement consultancy Challenger, Gray & Christmas, Inc. The June total was up 5 percent from the 98 CEO departures recorded in May. It was 9.6 percent higher than the 94 CEO changes announced the same month a year ago. 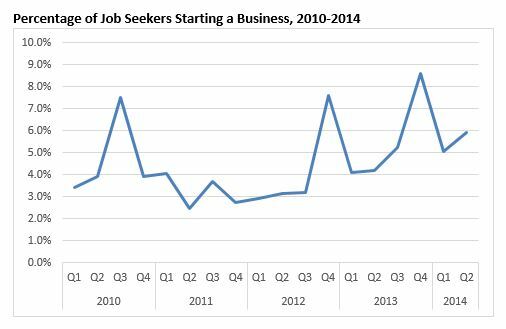 After getting off to a strong start in May, job gains among teenagers stumbled in June, as employers hired 15 percent fewer 16- to 19-year-olds than a year ago, according to an analysis of the latest data from the Bureau of Labor Statistics by global outplacement consultancy Challenger, Gray & Christmas, Inc.
After climbing to a 15-month high in May, planned job cuts announced by U.S.-based employers in June plunged 41 percent to 31,434, the lowest one-month total so far this year. 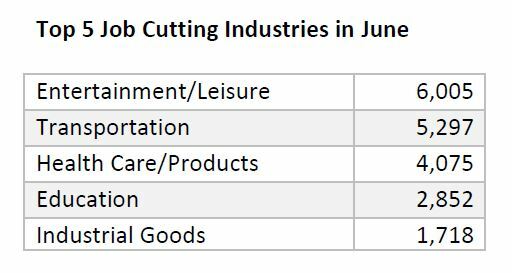 Through the first half of 2014, the pace of job cutting is down 5.0 percent from a year ago, according to the report released Thursday by global outplacement consultancy Challenger, Gray & Christmas, Inc.